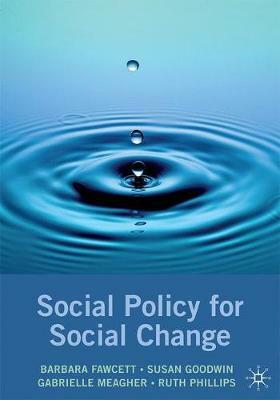 Social policy can be a powerful vehicle for positive social change. This book explores how social policy is made and by whom, focusing on debates about what counts as a social problem, and on conflicts over ideals, power and resources in the framing of policy solutions. Social policy is shown to be dynamic, flexible and provisional, and the opportunities for human service practitioners to engage in the processes of making and implementing social policy for social change are emphasised.